We will soon open our Epson Certified Solution Center in Plano, Texas. 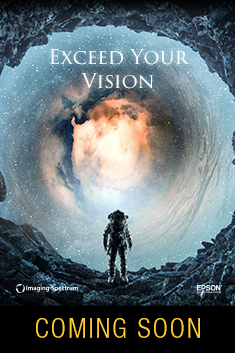 You will be able to experience exceptional printing with the Epson line of SureColor® wide format printers. Photographic printing, textile, signage, direct to garment, and more. We will have more details and announcements in the near future. To stay informed, sign up for our newsletters. Call us at 214-342-9290 to schedule a demo. *Offer is available exclusively from Imaging Spectrum and expires 30 days after your scheduled visit. Limited to one rebate per customer per visit. $250 savings applies to purchase of Epson SureColor F2100, F6200, F7200, F9370, S40600, S60600 and S80600 printers only. To redeem, call 214-342-9290 and schedule an on site visit and demo at the Imaging Spectrum Epson Certified Solution Center located in Plano, Texas. Offer subject to change without notice.